28th Gen. – Sir Richard FORESTER (1) (wiki) of Flanders, (1050 – ) was knighted after the battle of Hastings. He was sixteen years old in 1066 when he joined William the Conqueror, passing from Flanders to England after the decisive Battle of Hastings. However, histories of Baldwin V don’t show a child named Richard. While it is possible that a Richard Forster was knighted by William the Conqueror at age 16, he was probably not a son of Baldwin V, or a brother to Baldwin’s daughter Matilda who married William. My guess is his royal parentage was the invention of Frederick Clifton Pierce in his 1899 tome Foster genealogy, Part 1. Perhaps Richard did come to England as a yeoman soldier or possibly a squire to one of William’s knights and was knighted for bravery after the battle of Hastings. However, his origins are obscure. Richard might have been from one of the Germanic provinces with Forster (with an umlaut over the ‘o’) as his place of origin, probably a well-known forest. Not many had true surnames in this time period and were known by occupational or place names. He may even have been the son of a forester. It was after they had reached England that Richard was knighted for his service to William in the Battle of Hastings, and became Sir Richard. William gave him land on the Anglo-Scottish border in Nothumberland and Berwick Counties. Being on the border of England and Scotland, Northumberland has been the site of many battles. 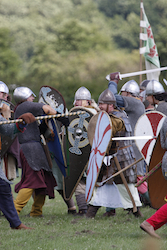 Our Forester ancestors participated in nine major battles between 1066 and 1415. Here’s a fun review of Medieval English Knights from a Forester (Foster) point of view. Characters from Shakespeare, the Lion in Winter, The Pillars of the Earth and Sharon Kay Penman‘s novels come alive. In 1072, Sir Richard married and had one son, Sir Hugo. Sir Richard may have had other children, but they are unknown to history. Sir Richard stayed as a tried and true friend of the monarchy of England, and was a leader of men, usually into battle. Sir Richard’s heirs went on to become a large part of the history of England, whose lands resided mainly in Northumberland, England, and owned the castles in Etherstone, Bamborough, and several abbeys. 27th Gen. Sir HUGO Foresturious or Forster (1), (1071 England – 1121) Governor of Etherstone He married a DAUGHTER of BARDULF Bishop of Whitern. Some sources identify this man and Sir Richard as the same person. Pierce says “He marched against Magnus of Norway. A. D. 1101, defeated and slew him”, but Magnus III was killed by an axe wielding Irishman in 1103. Methinks Pierce had a bit of romance in his genealogist heart. Magnus III sought to re-establish Norwegian influence around the Irish Sea. 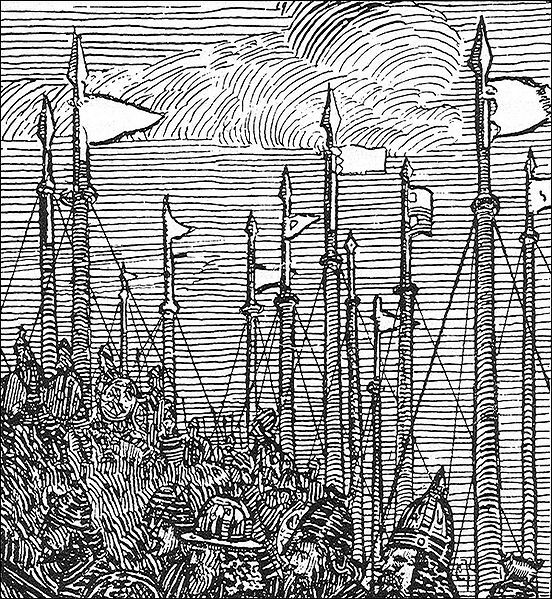 In 1098 Magnus left with a fleet of 60 ships and 5,000 men to Orkney, where the strength of the fleet led to a reinforcement of the Norwegian king’s dominion. Magnus Barefoot then led his fleet from Mann to Ynys Môn, Gwynedd, and appeared off of the coast at Ynys Seiriol (Puffin Island), interrupting a Norman victory celebration after they had recently defeated the Welsh of Gwynedd. In the battle that followed between the Norman occupiers and the Norse, known as the Battle of Anglesey Sound, Magnus shot dead the earl of Shrewsbury with an arrow to the eye. The Norse left as suddenly as they had arrived, leaving the Norman army weakened and demoralized. Magnus conquered the Orkney Islands, the Hebrides and the Isle of Man. Edgar, King of Scotland signed a treaty with Magnus setting the boundary between Scots and Norwegian claims in the west. By ceding claims to the Hebrides and Kintyre to Magnus, Edgar acknowledged the practical realities of the existing situation. Magnus returned to Norway in early 1099. According to the sagas, in 1103 Magnus set out again to raid in Ireland. He made an alliance with the powerful Munster king and self-proclaimed High King of Ireland, Muirchertach Ua Briain,, whose young daughter married Magnus’s young son, Sigurd I Magnusson. Muirchertach had controlled Dublin since 1093, and at this stage in his career seems to have regarded Magnus as an ally with the necessary seapower in his ongoing war with the Mac Lochlainn dynasty of the north-west. In 1103 they made a joint assault in the north, where Muirchertach’s forces were routed. Magnus then decided to return to Norway. He sent a message with a small group of his men to Muirchertach Ua Briain, who had returned to Connaught, requesting provisions for the sea journey ahead of them. According to the sagas, while awaiting these supplies, they went on land through a marshy area and saw a large dust cloud on the horizon. It was discovered that it was indeed the men with the supplies they were awaiting. It is also said that Sir Hugo helped King Henry I defeat his eldest brother, Robert Curthose, to become Duke of Normandy in 1106. He had two sons, Hugo and Reginald. The Battle of Tinchebray was fought 28 Sep 1106, in the town of Tinchebray , Normandy, between an invading force led by Henry I of England, and his older brother Robert Curthose, the Duke of Normandy. Henry’s knights won a decisive victory, capturing Robert and imprisoning him in England and then Wales until Robert’s death in Cardiff Castle. 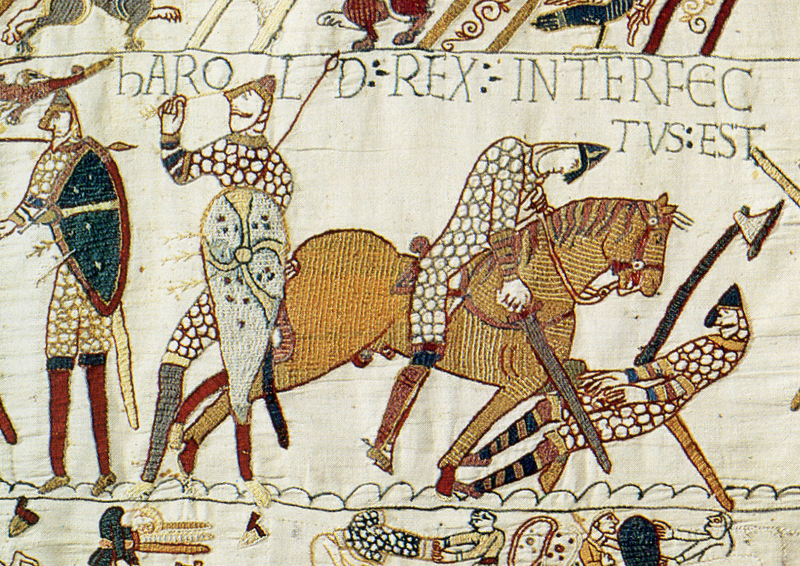 England and Normandy remained under a single ruler until 1204. According to Pierce and many copied sources, Hugo was Governor of Etherstone. It took some searching, but I’ve confirmed that Etherstone is known today Adderstone. Adderstone with Lucker is a civil parish in Northumberland, England. The parish includes the village of Adderstone, Lucker, Warenford, Rosebrough, Newstead,Bellshill and Bradford, and has a population of 195. Adderstone, a township, in the parish of Bambrough, union of Belford, N. division of Bambrough ward and of Northumberland, 3 miles (S. E. by S.) from Belford; containing 302 inhabitants. The manor was possessed by the ancient family of Forster, from whom it came, in 1763, to John William Bacon, Esq., by whom the present handsome mansion, which stands near the site of the old hall, on the west bank of the Warn, was erected, and whose successor sold the estate to J. Pratt, Esq. Twizell House is also situated in the township. 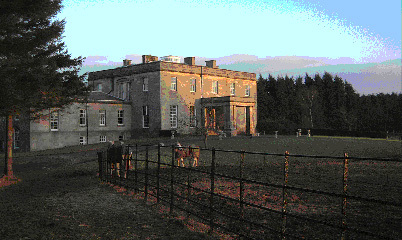 Adderstone Hall (grid reference NU141303) is a privately owned Georgian Grecian mansion situated on the bank of the River Warn near Lucker, Northumberland. It is a Grade II listed building from which the present owners operate a holiday park. Click here to see the stone cottages rentals. Adderstone was held by the Forster family, Governors of Bamburgh Castle from the 12th century. A pele tower of which no trace now remains existed on or close to the site in 1415. Thomas Forster (1659–1725), High Sheriff of Northumberland, built a new manor house in the early 18th century. The Forsters lived on the estate for over 600 years until they were ruined by the financial excesses of Sir William Forster (d 1700) and the involvement of Thomas Forster (1683–1738) in the Jacobite uprising of 1715. The property, already leased and subsequently acquired by the Watson family, passed briefly to John W Bacon of Staward Hall in 1763. The present hall was built in 1819 to a design by architect William Burn The first Watson to be born at Adderstone was Captain John Watson whose son Sir William Watson, an MP and a baron of the Exchequer (1856) married Anne the sister of the great industrialist 1st Lord Armstrong of Cragside. Their son John William (born at Adderstone Hall 1827) had one son, Willam Henry Watson, who inherited Cragside and the Armstrong fortune from his great uncle, Lord Armstrong of Cragside who had bought Bamburgh castle in the 1894 after the death of his wife, Margaret Ramshaw, and began restoring the building with the intention of providing a convalescent home, but died (in 1900) before the work was completed. 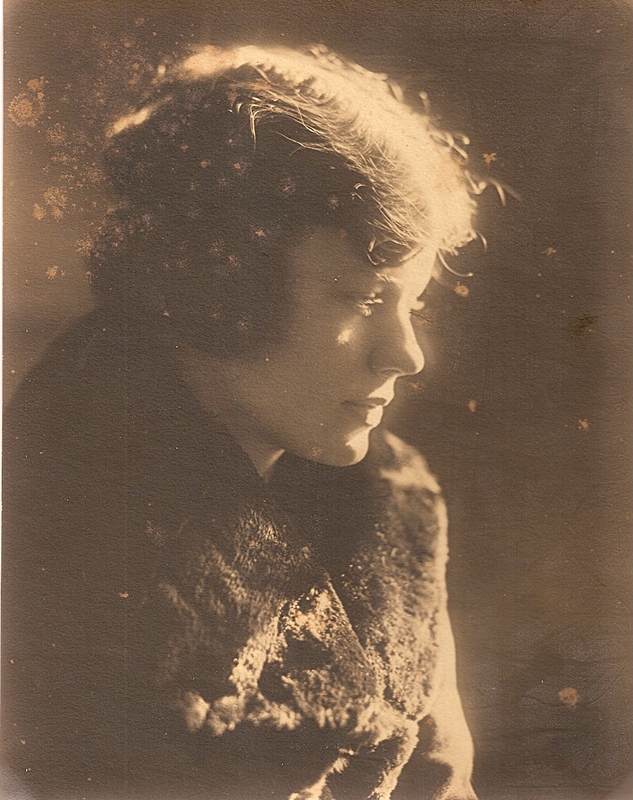 Adderstone was left to his sister Dorothy who married Noel Villiers in 1903 and lived at Adderstone Hall until she died in 1961, when the property was sold for the benefit of her many nephews and nieces. 26th Gen. Sir Reginald FORESTER (1) (born about 1100 Bansborough, Northumberland, England – 1156), knighted by King Stephen 22 Aug 1138 for valiant service at the Battle of the Standard, 1138. He had two sons, Hugo and Reginald. Like his father and grandfather, was the governor of Etherstone. The Battle of the Standard, sometimes called the Battle of Northallerton, in which English forces repelled a Scottish army, took place on 22 August 1138 on Cowton Moor near Northallerton in Yorkshire. The Scottish forces were led by King David I of Scotland. The English were commanded by William of Aumale. The Battle of the Standard, one of the bloodiest battles of The Anarchy took place three miles north of York and involved the Archbishop. ‘The Anarchy’ is the name given to a time of conflict between the death of King Henry I in 1135 and the succession of his grandson Henry II in 1154. Henry I’s son Prince William had died in a shipwreck so the succession passed to his daughter Matilda. But Matilda’s cousin Stephen, Count of Blois, quickly sailed across the Channel and was crowned king. Uncertain times then followed as Matilda’s followers fought Stephen’s for the crown. Yorkshire was an important stronghold for Stephen because King David of Scotland was an ally to Matilda. In 1138 David’s Scottish Army headed south. When they had arrived about 30 miles to the north of York an English army of local militia and Yorkshire nobles was gathered. The force was led by the Archbishop of York, Thurstan. The two armies met near Northallerton, on August 22, 1138. The Battle of the Standard got its name because the holy standard of St Cuthbert was carried into battle on a cart. The Scots were comprehensively defeated by the relatively well-organised English King Stephen of England (fighting rebel barons in the south) had sent a small force (largely mercenaries), but the English army was mainly local militia and baronial retinues from Yorkshire and the north Midlands. 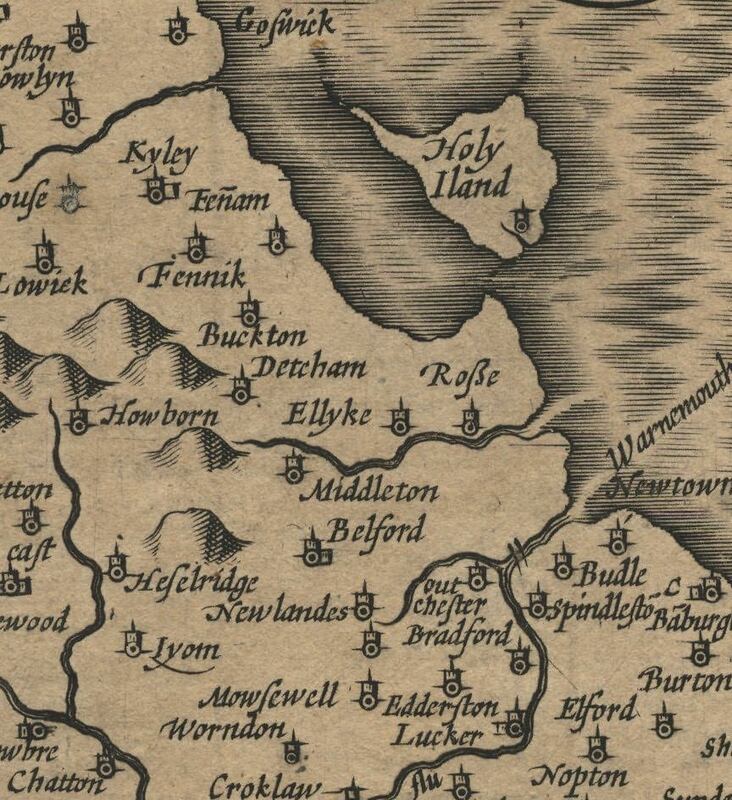 David’s forces had already taken much of Northumberland apart from castles at Wark and Bamburgh. Advancing beyond the Tees towards York, early on 22 Aug 1138 the Scots found the English army drawn up on open fields two miles north of Northallerton; they formed up in four ‘lines’ to attack it. The first attack, by unarmoured spearmen against armoured men (including dismounted knights) supported by telling fire from archers failed. Within three hours, the Scots army disintegrated, apart from small bodies of knights and men-at-arms around David and his son Henry. 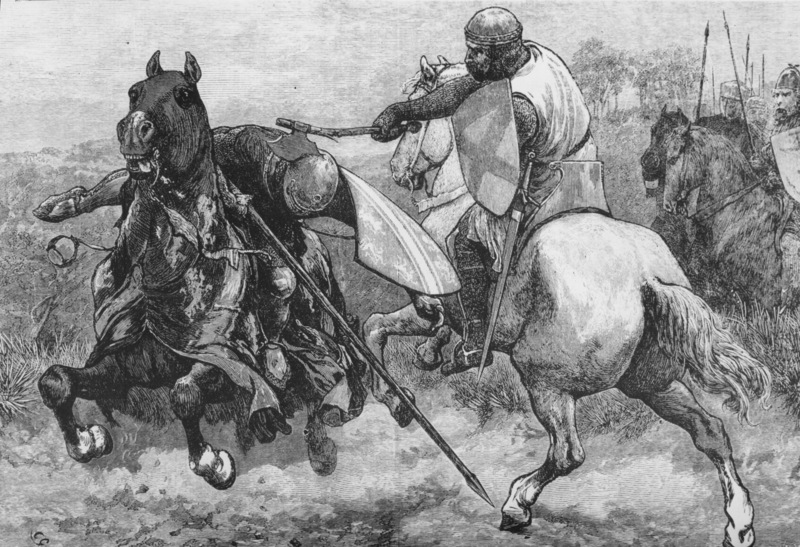 At this point, Henry led a spirited attack with mounted knights; he and David then withdrew separately with their immediate companions in relatively good order. Heavy Scots losses werebclaimed, in battle and in flight. 25th Gen. – Sir William FORESTER (1) (c. 1146 England – 1176) Governor of Etherstone. He was the General in command against the Welsh rebellion in 1163 and 1165. He fought against Louis VII of France 1168-1169, and died at Etherstone in 1176. In 1164 all the Welsh princes united in an uprising. When Rhys and Owain were obliged to do homage to Henry II in 1163 they were forced to accept a status of dependent vassalage instead of their previous client status, and that this led to the revolt. Welch Kingdoms 1093 when Rhys ap when Tewdwr died. 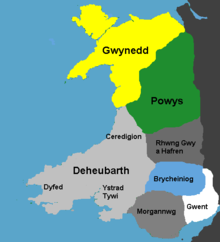 Rhys had other reasons for rebellion, for he had returned to Deheubarth from England to find that the neighbouring Norman lords were threatening Cantref Mawr. His nephew, Einion ab Anarawd, who was the captain of his bodyguard, had been murdered at the instigation of Roger de Clare, Earl of Hertford. The murderer had been given the protection of the Clares in Ceredigion. Rhys first appealed to the king to intercede, then when this failed invaded Ceredigion and recaptured all of it apart from the town and castle of Cardigan. The Welsh revolt led to another invasion of Wales by King Henry in 1165. The story of Henry II, Eleanor of Aquitane, and Louis VII has been told in many novels and films including the Lion in Winter, Becket, and Sharon Kay Penman‘s novels, When Christ And His Saints Slept, Time and Chance, and Devil’s Brood. 24th Gen. – Sir John FORESTER (1), (before 1176 – 1220) 1st Governor of Bamborough During the 3rd Crusade, in 1191, Sir John Forster rode with King Richard I the Lion Heart to Palestine. He saved the life of English King Richard at Acre. He was knighted and made Governor of Bamburgh Castle. on Farm Island, off the rugged coast Northumberland. Pierce reports he was one of the nobles who compelled King John to sign the Magna Carta in 1215, but I don’t his name on the list. I don’t think he was quite of Baron stature. Bamburgh Castle is built on a basalt outcrop, the location was previously home to a fort of the native Britons known as Din Guarie and may have been the capital of the British kingdom of the region (see Gododdin, Bryneich and Hen Ogledd) from the realm’s foundation around 420 until 547, the year of the first written reference to the castle. In that year the citadel was captured by the Anglo-Saxon ruler Ida of Bernicia (Beornice) and became Ida’s seat. It was briefly retaken by the Britons from his son Hussa during the war of 590 before being relieved later the same year. His grandson Æðelfriþ passed it on to his wife Bebba, from whom the early name Bebanburgh was derived. The Vikings destroyed the original fortification in 993. The Normans built a new castle on the site, which forms the core of the present one. William II unsuccessfully besieged it in 1095 during a revolt supported by its owner, Robert de Mowbray, Earl of Northumbria. After Robert was captured, his wife continued the defence until coerced to surrender by the king’s threat to blind her husband. 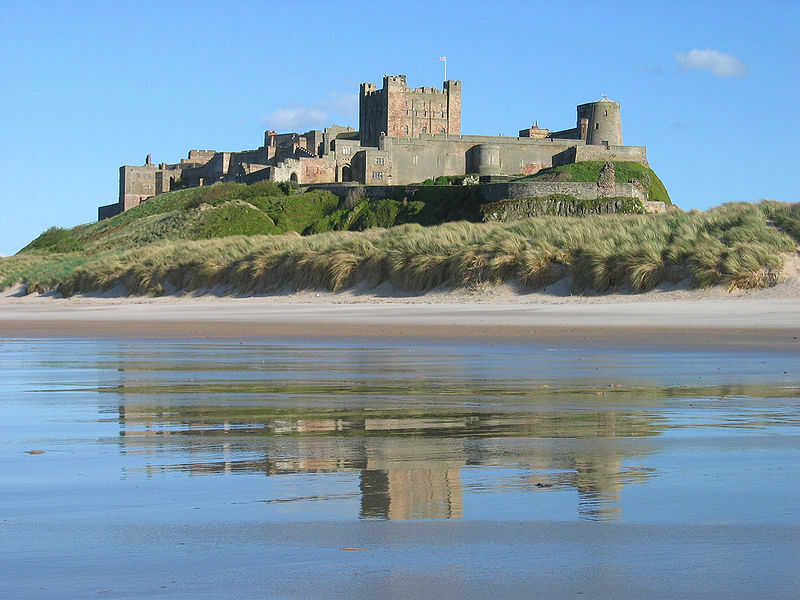 Bamburgh then became the property of the reigning English monarch. Henry II probably built the keep. As an important English outpost, the castle was the target of occasional raids from Scotland. In 1464 during the Wars of the Roses, it became the first castle in England to be defeated by artillery, at the end of a nine-month siege by Richard Neville, 16th Earl of Warwick. The castle deteriorated but was restored by various owners during the 18th and 19th centuries. It was finally bought by the Victorian industrialist William Armstrong, who completed the restoration. During the Second World War, the Royal Navy corvette HMS Bamborough Castle was named after it. The Siege of Acre was one of the first confrontations of the Third Crusade, lasting from August 28, 1189 until July 12, 1191, and the first time in history that the King of Jerusalem was compelled to personally see to the defence of the Holy Land. It was also the deadliest event of the whole period of the Crusades for the Christian ruling class of the east. 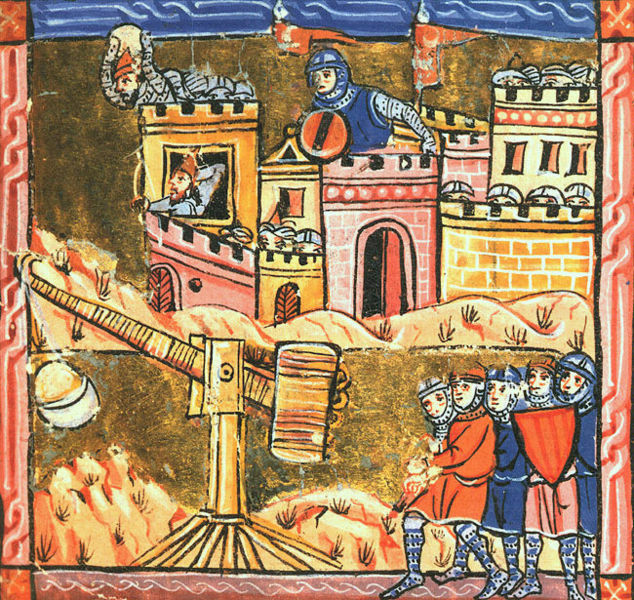 At the siege of Acre, 1191, a party of Sarcens having sallied forth and surround King Richard [1189 – 1199], he would have been overpowered and made prisoner had not Sir John Forster, who seeing from a distance the danger in which the King was placed, pushed forward with couched lance followed by his retainers shouting, “To the rescue! A Forester! A Forester!.” Sir John who for his bravery and timely assistance received from King Richard a grant to bear a Chevron Vert on his shield. 23rd Gen. Sir Randolph FORESTER (1) , (1220 England – 1256) 2nd Governor of Bamborough He accompanied Prince Richard, 1st Earl of Cornwall, brother of Henry III [1207 – 1272], to France in 1225, the Prince being sent by the King for the purpose of regaining his French provinces. After a year’s fighting an armistice was agreed upon, but the French King Louis VIII (1187-1226) dying before its expiration, the hostilities were again renewed, but ended in a very little result. 1225 was the year Richard became Count of Poitou at the age of sixteen. Though he campaigned on King Henry’s behalf in Poitou and Brittany, and served as Regent three times, relations were often strained between the brothers in the early years of Henry’s reign. Richard rebelled against him three times, and had to be bought off with lavish gifts. Richard’s active career began in 1225, when he was sixteen years old. The pacification of England had now so far advanced that a great effort was resolved upon to win back the Aquitanian heritage of the English kings which had been almost altogether lost under King John. Richard was chosen as the nominal leader of the expedition destined for France. On 2 Feb. 1225 Henry III girt him with the knightly sword On 13 Feb. Richard was granted the wealthy earldom of Cornwall, then in the king’s hands , to which were added in November the Cornish tin mines in possession of his mother, Queen Isabella . It is probable that he was invested at the same time with the county of Poitou, so that he might call upon the allegiance of the Poitevins as their lawful lord against the aggressions of Louis VIII . His uncle, the veteran William Longsword, earl of Salisbury , and Philip of Albigny were appointed his chief counsellors. On 23 March Count Richard sailed with a considerable army. He landed at Bordeaux, where he was enthusiastically received. Richard easily captured St. Macaire and Bazas, the outposts of French influence, and on 2 May he wrote a brief letter to Henry III, boasting that all Gascony, save one town and one noble, was reduced to his obedience . The one resisting town, La Réole, was now subdued, after a long, fierce, and often interrupted struggle, while the winning over of Bergerac, through the timely defection of its lord to the English, opened up the road over the Dordogne towards Poitou. Richard’s position was made more difficult by the disunion of his advisers , by the sickness and return home of William Longsword, and by the depredations of Savary de Mauléon and the corsairs of La Rochelle, who intercepted his convoys and straitened his resources. Richard, who sought to keep on good terms with the ecclesiastical authorities, was further embarrassed by the necessity of forming an alliance with Raymond of Toulouse, who supported the Albigensians. 22nd Gen. – Sir Alfred FORESTER (1), “The Generous” (c. 1250 – 1284 Etherstone, Bamburg Castle, Northumberland) 3rd Governor of Bamborough knighted on the battlefield of Evesham, 1265, and died 1284, and was succeeded by his son. He assisted Prince Edward I after his escape from the rebel barons in raising an army for this purpose of releasing his father Henry III and Prince Richard from their confinement, and was appointed one of the Kings’ officers. Having collected his army, Prince Edward fought the battle of Evesham Aug 4, 1265, in which he was victorious. The Royalists were led by Prince Edward, Henry’s eldest son. A civil war, known as the Second Barons’ War, ensued. The charismatic de Montfort and his forces had captured most of southeastern England by 1263, and at the Battle of Lewes on 14 May 1264, Henry was defeated and taken prisoner by de Montfort’s army. While Henry was reduced to being a figurehead king, de Montfort broadened representation to include each county of England and many important towns—that is, to groups beyond the nobility. Henry and Edward remained under house arrest. The short period that followed was the closest England was to come to complete abolition of the monarchy until the Commonwealth period of 1649–60 and many of the barons who had initially supported de Montfort began to suspect that he had gone too far with his reforming zeal. Fifteen months later Prince Edward had escaped captivity (having been freed by his cousin Roger Mortimer) and led the royalists into battle, turning the tables on de Montfort at the Battle of Evesham in 1265. Following this victory, savage retribution was exacted on the rebels. The Battle of Evesham was one of the two main battles of 13th century England’s Second Barons’ War. It marked the defeat of Simon de Montfort, Earl of Leicester, and the rebellious barons by Prince Edward – later King Edward I – who led the forces of his father, King Henry III. It took place on 4 August 1265, near the town of Evesham, Worcestershire. Death and mutilation of Montfort at the Battle of Evesham. With the Battle of Lewes Montfort had won control of royal government, but after the defection of several close allies and the escape from captivity of Prince Edward, he found himself on the defensive. Forced to engage the royalists at Evesham, he faced an army twice the size of his own. 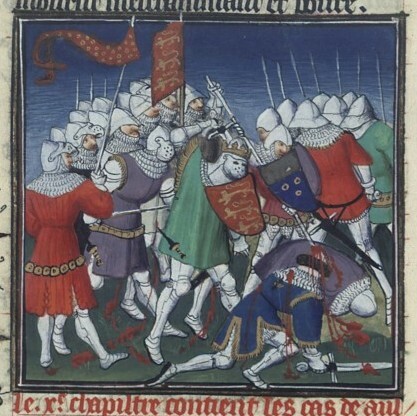 The battle soon turned into a massacre; Montfort himself was killed and his body mutilated. Though the battle effectively restored royal autonomy, scattered resistance remained until the Dictum of Kenilworth was signed in 1267. 21st Gen. Sir Reginald FORESTER (2), (born before 1285 England – 1328) 4th Governor of Bamborough who fought at Bannockburn, 1314, and died in 1328, leaving descendants who were great chieftains and closely allied to royalty in Scotland, Ireland, Wales and England. The Battle of Bannockburn (24 June 1314) was a significant Scottish victory in the Wars of Scottish Independence. It was the decisive battle in the First War of Scottish Independence. In the spring of 1314, Edward Bruce, brother of King Robert Bruce, laid siege to English-held Stirling Castle. Unable to make any significant progress, he struck a deal with the castle’s commander, Sir Philip Moubray, that if the castle was not relieved by Midsummer Day (June 24) it would be surrendered to the Scots. By the terms of the deal a large English force was required to arrive within three miles of the castle by the specified date. This arrangement displeased both King Robert, who wished to avoid pitched battles, and Edward IIwho viewed the potential loss of the castle as a blow to his prestige. With the advantage of time, Bruce was able train his soldiers and better prepare them for the coming battle. The basic Scottish unit, the schiltron (shield-troop) consisted of around 500 spearmen fighting as a cohesive unit. As the immobility of schiltron had been fatal at the Battle of Falkirk [Remember Braveheart?] , Bruce instructed his soldiers in fighting on the move. As the English marched north, Bruce shifted his army to the New Park, a wooded area overlooking the Falkirk-Stirling road, a low-lying plain known as the Carse, as well as a small stream, the Bannock Burn, and its nearby marshes. As the road offered some of the only firm ground on which the English heavy cavalry could operate, it was Bruce’s goal to force Edward to move right, over the Carse, in order to reach Stirling. To accomplish this, camouflaged pits, three feet deep and containing caltrops, were dug on both sides of the road. Once Edward’s army was on the Carse, it would be constricted by the Bannock Burn and its wetlands and forced to fight on a narrow front, thus negating its superior numbers. Despite this commanding position, Bruce debated giving battle until the last minute but was swayed by reports that English morale was low. On June 23, Moubray arrived in Edward’s camp and told the king that battle was not necessary as the terms of the bargain had been met. This advice was ignored, as part of the English army, led by the Earls of Gloucester and Hereford, moved to attack Bruce’s division at the south end of the New Park. As the English approached, Sir Henry de Bohun, nephew of the Earl of Hereford, spotted Bruce riding in front of his troops and charged. The Scottish king, unarmored and armed with only a battle axe, turned and met Bohun’s charge. Evading the knight’s lance, Bruce cleaved Bohun’s head in two with his axe. Chastised by his commanders for taking such a risk, Bruce simply complained that he had broken his axe. The incident helped inspire the Scots and they, with aid of the pits, drove off Gloucester and Hereford’s attack. To the north, a small English force led by Henry de Beaumont and Robert Clifford was also beaten off by the Scottish division of the Earl of Moray. In both cases, the English cavalry was defeated by the solid wall of Scottish spears. Unable to move up the road, Edward’s army moved to the right, crossing the Bannock Burn, and camped for the night on the Carse. At dawn on the 24th, with Edward’s army surrounded on three sides by the Bannock Burn, Bruce turned to the offensive. Advancing in four divisions, led by Edward Bruce, James Douglas, the Earl of Moray, and the king, the Scottish army moved towards the English. As they drew near, they paused and knelt in prayer. Seeing this, Edward reportedly exclaimed, “Ha! they kneel for mercy!” To which an aid replied, “Yea sire, they kneel for mercy, but not from you. These men will conqueror or die.” As the Scots resumed their advance, the English rushed to form up, which proved difficult in confined space between the waters. Almost immediately, the Earl of Gloucester charged forward with his men. Colliding with the spears of Edward Bruce’s division, Gloucester was killed and his charge broken. The Scottish army then reached the English, engaging them along the entire front. Trapped and pressed between the Scots and the waters, the English were unable to assume their battle formations and soon their army became a disorganized mass. Pushing forward, the Scots soon began to gain ground, with the English dead and wounded being trampled. Driving home their assault with cries of “Press on! Press on! the Scots’ attack forced many in the English rear to flee back across the Bannock Burn. Finally, the English were able to deploy their archers to attack the Scottish left. Seeing this new threat, Bruce ordered Sir Robert Keith to attack them with his light cavalry. Riding forward, Keith’s men struck the archers, driving them from the field. As the English lines began to waver, the call went up “On them, on them! They fail!” Surging with renewed strength, the Scots pressed home the attack. They were aided by the arrival of the “small folk” (those lacking training or weapons) who had been held in reserve. Their arrival, coupled with Edward fleeing the field, led to the English army’s collapse and a rout ensued. The Battle of Bannockburn became the greatest victory in the history of Scotland. While full recognition of Scottish independence was still several years off, Bruce had driven the English from Scotland and secured his position as king. While exact numbers of Scottish casualties are not known, they are believed to have been light. English losses are not known with precision but may have ranged from 4,000-11,000 men. Following the battle, Edward raced south and finally found safety at Dunbar Castle. He never again returned to Scotland. 20st Gen. – Sir Richard FORESTER (2), (born England – 1371) 5th Governor of Bamborough who fought at Crecy, 1346; Poitiers, 1356; was knighted for valor; died in 1371 ; and was succeeded by his son, The Battle of Crécy took place on 26 August 1346 near Crécy in northern France, and was one of the most important battles of the Hundred Years’ War. The combination of new weapons and tactics has caused many historians to consider this battle the beginning of the end of classic chivalry. 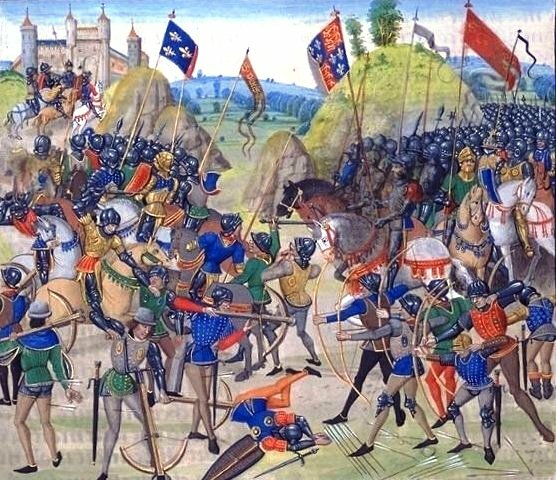 Crécy was a battle in which an Anglo-Welsh army of 9,000 to 15,000, commanded by Edward III of England and heavily outnumbered by Philip VI of France‘s force of 35,000 to 100,000 was victorious as a result of superior weaponry and tactics, demonstrating the importance of the modern military concept of fire power. The effectiveness of the English longbow, used en masse, was proven against armoured knights, contrary to the conventional wisdom of the day which held that archers would be ineffective and be butchered when the armoured units closed in. In the battle, the French knights, protected by mail reinforced with plate, nearly exhausted by charging several miles into the fray (against their king’s wishes) and having to walk through a quagmire of mud to charge up a shallow hill into English and Welsh arrow storms, were cut down. The result was that much of the French nobility died, perhaps even a third. Knights’ armour had not yet evolved to the stage where longbows could not penetrate, and the knights’ horses were barely protected at all. 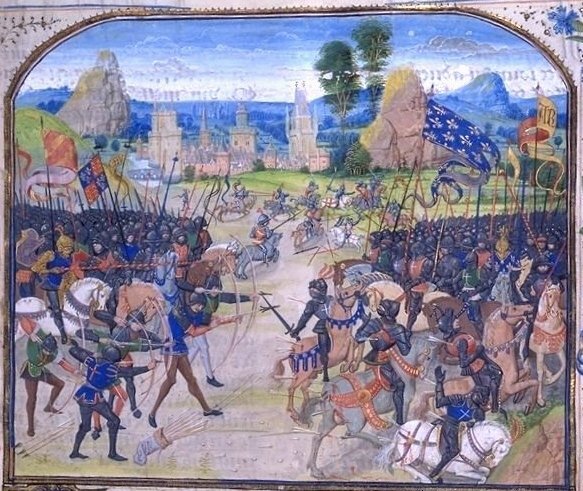 The storm of arrows killed or disabled the knights’ mounts, and left the knights floundering in the mud on foot beneath an unavoidable hail of arrows The Battle of Poitiers was fought between the Kingdoms of England and France on 19 September 1356 near Poitiers, resulting in the second of the three great English victories of the Hundred Years’ War: Crécy, Poitiers, and Agincourt. Richard became a general in the Black Prince’s army at the Battle of Poictiers in 1356 and was knighted for his part in the battle. 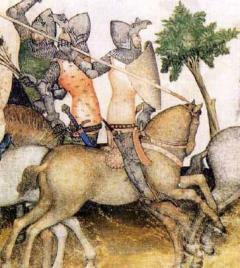 Thomas was severely wounded fighting in the Battle of Otterburn, 1388. Precise date of his death is not certain, though 1425 seems reasonable. Her parents were Sir William Lord of ELMEDEN [ today’s Embleton], (c. 1381 Elmeden, Northumberland – 25 May 1447 England) and Elizabeth of UMFREVILLE (wiki) (c. 1388 – 23 Nov 1424). Her parents married 23 Nov 1404 in at Elizabeth’s parents’ Harbottle Castle, Yorkshire, England. The UMFRAVILLES forfeited the Earldom of Angus in 1327 when they fought on the wrong side at the battle of Battle of Bannockburn, though the family continued to use the title in England. The Mormaer or Earl of Angus was the ruler of the medieval Scottish province of Angus. This Sir Thomas is considered to be the first of the Adderstone–Bamburgh line, and so he ranks highly in family records dating back to that time. For all intents and purposes he was the first of the Bamburgh Forsters. History shows that he owned a Pele Tower in Adderstone in 1415. Later that year, as a youth of 18 or 19 he accompanied Henry V to France, where he is said to have fought valiantly at the Battle of Agincourt under the Percy family banner. (The young Earl of Northumberland, a lad of 17, was not present, having been charged by Henry V with the task of holding the Scots at bay along the Border during the King’s absence in France). He returned to Northumbria with a well-earned knighthood for his deeds in the field at Agincourt and his name on the Subsidy Roll as holding one quarter of a knight’s fee in Adderstone. He had earlier married Elizabeth Featherstonhaugh and the Arms of her family were now added to Thomas’s new Arms marking the start of a real dynasty. (The fee related to land granted in exchange for his outstanding military service.) Elizabeth bore him 22 children, 19 boys and three daughters. Thomas, as the elder, inherited his father’s title. A Vanished 15th C. tower said to be close to present 18th C. Adderstone Hall. Dodds writes thick woods inhibit visual confirmation. A medieval tower at Adderstone is mentioned in a document of 1415. 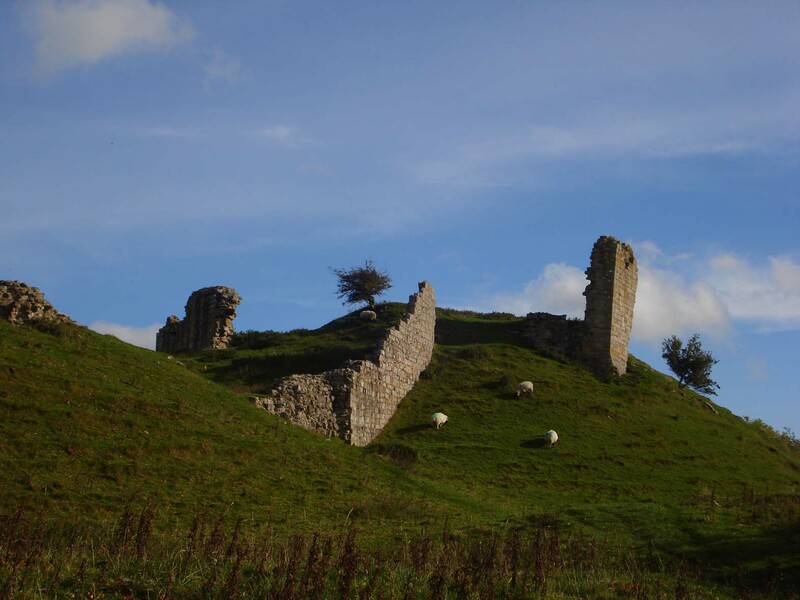 The tower was home of Sir Thomas Forster who fought at the Battle of Flodden, the tower having been built before 1415. The tower was incorporated into a mansion in the late 16th C. or early 17th C., but both were pulled down when a later Thomas Forster built a new house (Adderstone Hall) in 18th C.
17th Gen. – Sir Thomas FORSTER (2) (c. 1448 Etherstone, Durham, England – ) 8th Governor of Bamborough baronet, Lord Etherstone. He married Elizabeth FETHERSTONEHAUGH of Stanhope Hall the daughter of Featherstonhaugh, of Stanhope Hall, Durham, chief of the clan Featherston. Featherstone Castle – 673609 – Much of this mansion in parkland by the South Tyne was built in 1812-20 by Thomas Wallace but there is a 14th century L-plan tower at the SW corner and the west range which it adjoins has a 13th century doorway towards the court with one order of colonettes and may incorporate some walling from a hall-house of that period. The tower house has a main block 12.2m long from east to west by 9.1 m wide and has a wing projecting from the eastern half of the south side, a turret at the west end of that side, a turret containing a spiral stair at the west end of the north side, and a square turret set diagonally on the NE corner. The tower is much altered but still has a vaulted basement and original battlements with round bartizans on three courses of corbelling. The 14th century windows in the west range may have come from the tower. The manor was held by the Featherstonehaugh family from at least John’s reign until it was confiscated by Parliament after Sir Timothy was executed at Bolton in 1651 following his capture at the battle of Worcester. The castle was sold to the Earl of Carlisle but the Featherstonhaugh family repurchased it in 1711, only to dispose of it in 1779 to James Wallace, Attorney General. The tower house and former moat are thought to have been added c. 1330-5 by Thomas Featherstonehaugh but the place does not appear in the 1415 list of strongholds. At the time of the 1541 survey it was held by Alexander Featherstonehaugh and was in good repair. i. Eleanor Forster born about 1520 in Alderstone, Northumberland, England. ii. John Forster [Sir Knight] born before 1520 in Barnborough, Northumberland, England. viii. Angus Forster born about 1528 in England. ix. Robert Forster born about 1530 in England. x. Margaret Forster born about 1530 in Berwick, Northumberland, England. She married William Heron who was born about 1526 in Berwick, Northumberland, England. Not sure whether it was this Sir. Thomas Forester or his father who fought in the Battle of Flodden. He was the leader of a troop of sixty horsemen. Battle of Flodden – It is difficult to imagine the carnage on that day but after a matter of just a few hours, an estimated 14,000 men lie dead or dying, amongst them the Scottish king and many of his nobles. The rate of slaughter exceeds that of some of the most horrific battles on the Somme in the First World War. This battle some times called the Battle of Branxton was fought in the county of Northumberland in northern England on 9 September 1513, between an invading Scots army under King James IV and an English army commanded by the Earl of Surrey. It ended in victory for the English army, and was the largest battle (in terms of numbers) fought between the two nations. James was killed within a spear length from Surrey and his body taken to Berwick. The ‘rent surcoat of the King of Scots stained with blood’ was sent to Henry VIII at Tournai. The biggest error the Scots made was placing their officers in the front line, medieval style. The English generals stayed behind the lines in the Renaissance style. 14th Gen. – Cuthbert FORSTER (1) – was born about 1544 in Brunton Hall, Northumberland, England. He died in 1589 in England. He married Elizabeth BRADFORD about 1562 in England. 13th Gen. – Thomas FORSTER (5), of Brunton,, Northumberland Esquire, (1570 in Gisburne, Yorkshire, England – 19 Jun 1648). He married Elizabeth CARR on 22 Jan 1580 in Gisburne, Yorkshire, England. 11th Gen. – Sarah FOSTER was born 15 Oct 1620 in Exeter, Dervonshire, England, England and was christened 15 Oct 1620 in Theydon Garnon, Essex, England. She married William STORY on 1640 in Ipswich, Essex, Mass. Sarah died in 1681 in Ipswich, Essex, Mass. 10th Gen. – Ann Story was born ca. 1646 Ipswich. Ann married Stephen DOW I 16 Sep 1663. Although this marriag is recorded at the Haverhill First Church, it is improbable that it took place there. Ann died 3 Feb 1714/15 in Haverhill Mass. 8th Gen. – David DOW was born 25 Dec 1714 in Haverhill, Essex Mass. He married his first wife Abigail Kelly 28 Jan 1736/37 in Salem, Rockingham, New Hampshire. Alterntively, he married Abigail a few miles away in Methuen, Mass. After Abigail died, he married his second wife Mary BROWN 10 Apr 1744 in Salem NH. David died 1794 in Oromoeto, New Brunswick, Canada, killed by a falling tree that he was cutting. Note that he was 80 years old at the time. Ten years later, David’s grandson and namesake David Dow was also killed by a falling tree, while he was clearing the Sullivan Creek hill road near Dow Settlement, Canterbury, NB. 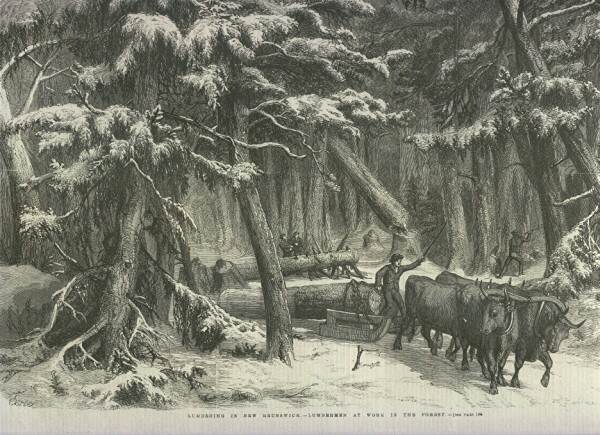 “Lumbering in New Brunswick – Lumbermen at work in the forest”. Engraving by Johannes Oertel, published in the Illustrated London News, 23 August 1858. Credit: Rob Fisher. 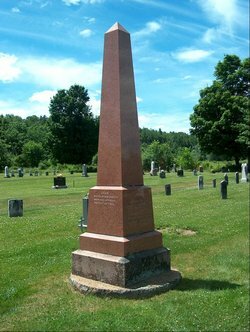 7th Gen. – Enoch DOW was born 7 Dec 1744, Methuen, Essex County, Massachusetts. He moved from New Hampshire to Orocmocto New Brunswick in 1753 with his his parents and brothers so the Dows aren’t Torries who escaped after the Revolution. He married Ruth MORTON about 1770 in Maugerville, New Brunswick, Canada. 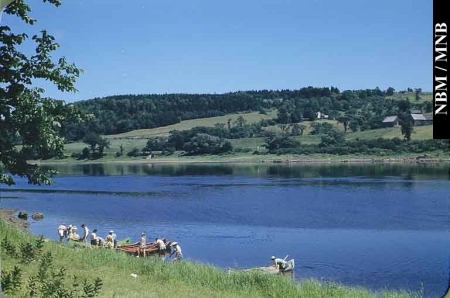 Enoch died 23 Dec 1813, in Dow Settlement, (Dumfries Parish) York County, New Brunswick. 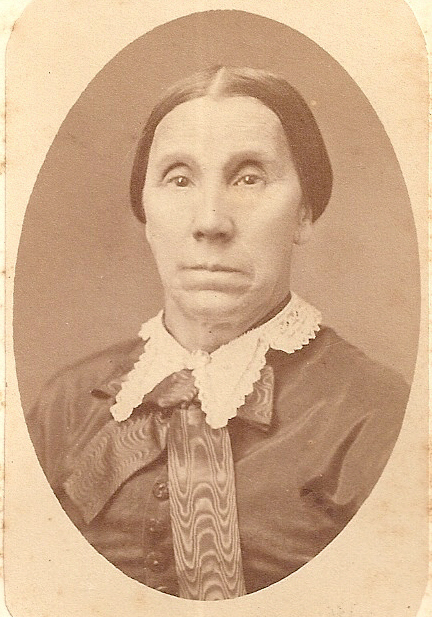 6th Gen. – Ruth DOW was born 1 Dec 1787 in Woodstock Parish, York, New Brunswick. She married Abraham ESTEY 17 Nov 1812 in Frederickton, New Brunswick. Ruth died 2 Jan 1864. 5th G. Mary ESTEY was born 15 Jan 1820 in New Brunswick . She married George MILLER on 23 Aug 1838 in Dumfries, York Co [New Brunswick Royal Gazette] or 22 Oct 1837. Mary died 7 Mar 1889 in Pickett, Winnebago County Wisconsin. 4th G. – Frank Nelson MILLER was born on 18 June 1858 in Utica Wisconsin. 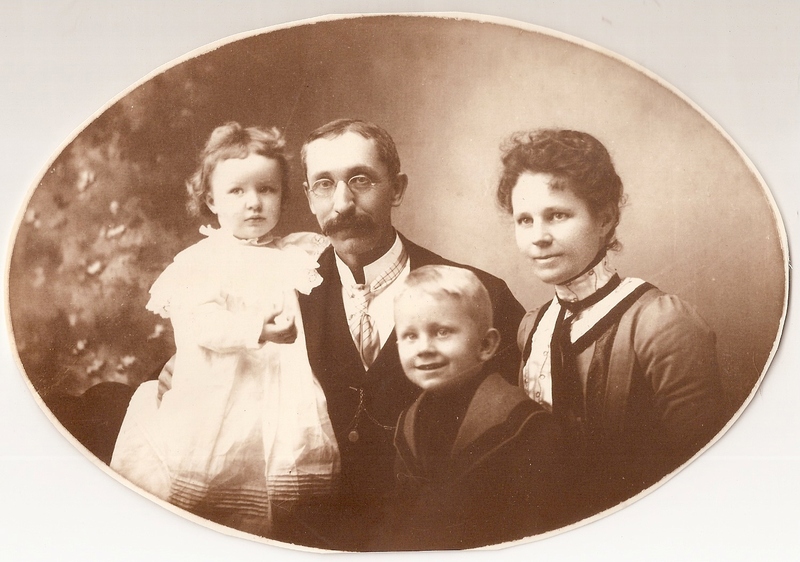 He married on 4 Jan 1896 in Fresno, Calif. to Agnes Genevieve HENRY (1863 – 1931). Frank died on 29 Dec 1903 in Willows, California. This entry was posted in Artistic Representation, Historical Church, Historical Site, Line - Miller, Public Office, Royal Ancestors, Veteran, Wikipedia Famous and tagged 1066 Battle of Hastings, 1106 Battle of Tinchebray, 1138 Battle of the Standard, 1191 Siege of Acre, 1265 Battle of Evesham, 1314 Battle of Bannockburn, 1346 Battle of Crécy, 1356 Battle of Poitiers, 1415 Battle of Agincourt, 1513 Battle of Flodden. Bookmark the permalink. This is a goldmine of information, organized, an easy read and simple to follow. A lot of time and effort, a real labor of love. I’m putting a genealogy notebook together for my granddaughter who is just starting to be interested in her heritage and will include this piece as a study aid. This wonderful sketch is now in my favorites and I’ll continue to read it over and over again until I have it set in my mind, too. This article is cogent, well-written and — above all for a genealogist — accurate about Richard’s birth. I have long contended that he was not the son of Baldwin V, although certain undocumented scenarios would make a relationship to Baldwin V possible. For instance, Richard could be the son of a relative, fostered out to Baldwin’s household as was the common custom. Or it’s possible Richard could have been a child born out of wedlock to Baldwin, or simply a young man sent to Baldwin to learn the skills needed for a knight. Then, too, there are some cases of legitimate births within a royal family in those times that simply didn’t get properly recorded, or the records have been lost. I agree that the relationship was *probably* invented by Pierce, but it does call into question whether Pierce made up the story out of whole cloth or chanced on some text that led him to believe the relationship existed. Kudos on an excellent article! I’m confused. I’m looking at the ebook copy of Pierce’s book via Google Books. His claim was that Baldwin IV, not Baldwin V, was the father of Sir Richard. I got Baldwin IV died on 1036 and Sir Richard born in 1050. The “standard” used at the battle of Cowton Moor/ Northallerton in 1138 was based on Italian examples seen by archbishop Thurstan during his time in Rome. It was much more than just a flag: it consisted of a ship’s mast mounted on a four-wheeled wagon, which were fairly rare in England at this time as two-wheeled carts were the normal means of transporting goods and materials. At the top of the mast was fixed a silver pyx holding the Holy Sacrament, indicating the presence of God, beneath which were attached the banners of three local saints – Peter, John and Wilfred (not St Cuthbert, as stated in the article). The purpose was twofold: to signify the Holy crusade against the Scots which Thurstan had declared to emphasise the barbarity and un-Christian behaviour of the enemy, and to serve as very visible rallying-point for the army. Although the Anglo-Norman army included the city militias from Ripon, Beverley and York there were also a large number of local knights and their personal retinues, including professional military serjants (a social class, not a rank) who would have less expensive armour than the knights. It is not at all certain who led the Anglo-Norman army; Thurstan was too old and frail to leave York, although he sent a contingent of priests to represent him. William of Aumale (Albermarle) is often named as the commander but there is no contemporary evidence to support this claim. King Stephen had sent Bernard de Baliol with a number of knights to reinforce the local units and it is entirely possible that de Baliol carried the king’s commission to take charge. I am direct descendant of Sir Richard Forester, he is my 27th great grandfather. Do you think you might have the same Y chromosome. Our Scottish Forresters just developed a new haplogroup for the Forresters of Torwood and Garden and we believe they originally came from Flanders. If you are a male Forrester I would invite you to be tested and see if you belong to this new haplogroup. Sure but how do I test? I think since so much of the work has been done you only need to take the Y-37 test, but you might need to take the Y-67, from FTdna. Nathan Foriester helped us do all this. He is with the Clan Forrester. His branch doesn’t match this special group. So far they have about 5 people. You can contact me at sjschrade@sbcglobal.net and I’ll give you the info and contact info for Nathan. I am direct descendant of Sir Richard Forester, he is considered my 27, great grandfather. An older source of the 1066 connection “story” comes from Charles French Blake Forster. The Irish Chieftains- struggle for the crown. I dont know his source. The history of Northumberland books at at “Forster House, next to the Abbey in Bamborough go back to 1300’s not to Richard Forrestarious” I cant find any evidence of Forestarious, and would like to find that. mentioned in the county of Warwickshire, one Richard Forestarij (or Richard the Forester, according to the English translation), who in Brinklow Hundred, holds HARBOROUGH from the King, 4 1/2 hides Land for as many ploughs etc. The entire page lists Richard’s holdings. In the history of the Biddulph family who claims Richard as their ancestor, they state that he was 16 years old and possibly the brother of Matilda, wife of William the Conquerer, This last statement I found in Burke’s Landed Gentry. I don’t know if this is of any help to you. I am a FORREST/FORRESTER descendent. Cousin Mark and Alex: Your efforts and love of sharing this information is such a great gifts to us that we will surely treasure for the rest of our lives especially we, Minors of the Philippines that was accidentally “left and forgotten” because of the circumstances that me or my own father doesn’t even know the reason why. I hope someday I could visit and meet you all in America or you could visit or meet us in the Philippines. .
Our ancestors made us proud of who we are. More power for this great work of yours. love and missing you all. …and our exciting education continues…thanks! Roger Keith Foster, I have used Ancestry.com to trace my Foster roots back to England. I was able to find Richard James Foster who appears to be the first Foster In America and he can be traced back to the Forsters/Foresters of Etherstone of Northumberland. This wonderful article takes them back another 28 generations and gives the complete picture of the Foster bloodline. All my research into our Forster/Foster lineage has been truly a fascinating journey. Sir Richard is my 28th great grandfather (or 27th?). My great great great great grandmother was born Emily Foster (later Emily Foster Barham-Haydon Symes), of the Foster line that moved to Antigua and Jamaica in the 1700’s and owned land and plantations. Her son was David Barham-Haydon Symes, and his son was also named David Barham-Haydon Symes, whose daughter was Caroline, who married my grandfather. I am a descendant of the Watson family who leased Adderstone House (Hall) between 1808 and 1819, so they were actually the last family to have lived in the Foster tower. William Watson 1757-1814 was the brother of Capt John Watson whose son married Lord Armstrongs sister. Lord Armstrong purchased Adderstone Hall in 1894 and gifted it to his nephew John William Watson. No Watson has ever been born at Adderstone.